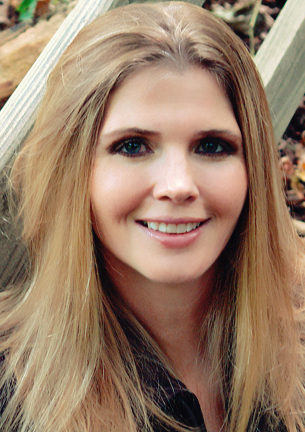 Friends, I want to welcome author friend, Julia Robb. Her newest release is, The Captive Boy which is the topic of this interview. I hope that after hearing what she has to say you consider purchasing this compelling read. Cover art – The Captive BoyJulia spent 20 years as an award winning journalist before becoming a novelist. Since July 2012 she has published four 5-Star rated books on Amazon.com all set in West Texas. This interview covers The Captive Boy, her newest book, released on December 17th. The print version will be published next week. Question: Julia, I’ve enjoyed reading your three previous western novels but found The Captive Boy exceptional. Why did you write this story? First, I wanted to show readers that America’s frontier army was heroic, our troops served their country with courage and honor and did their best in a hard time and a hard place. They were tough. We have reason to be proud of them. I wish more Americans knew that. Also, I wanted to write a story showing readers what happened to white captive kids. After they were recovered, they were emotionally unstable people who couldn’t maintain jobs or relationships. They didn’t feel at home in the white culture, the free-wheeling Indian culture was gone (living on the reservation was not like living with a nomadic tribe). Those kids were sad and never again found a real home. I was, and am, sad for them. Question: Tell my readers about your protagonist, Mac McKenna. I think he’s a compelling character and a respected leader by those who served under him. Is he based on a historic character? Yes, Mac is based on Col. (later General) Ranald Mackenzie. Mackenzie was a hero, and he is my hero. He got the job done. He never gave up. He beat the Comanches. He didn’t want to kill, but he did his duty. I also see him as having been a lonely, isolated man who wanted to love and be loved but he never got the chance. I gave Mac many of these traits, including, kind of, Mackenzie’s fate. But Mac’s fate is a metaphor for what happened to Mackenzie. I felt Mac on a deeper level than my other protagonists. He was inside me. I love him, which is natural, I guess, as I am the only person in the world who thoroughly understands him. Also, I want to add, I have some of Mackenzie’s letters, written while he was commander at Fort Sill (the army fort and the Comanche and Kiowa reservation), and those letters prove Mackenzie was a humane and wise administrator. So, naturally I can tell you my Mac was both humane and wise, both as administrator and soldier. Question: Tell us about the title character, August Shiltz. I suspect his definition of captive would be quite different from Mac’s definition. Yes, August didn’t see himself as a captive until he was retaken by Mac’s troops. He was brainwashed. After all, his Indian parents were the only ones he could remember. It’s like being dropped on Mars and adopted by the natives. The trauma destroys previous memories. I checked with a psychologist to find out what this kind of trauma would do to people, and then I used what the psychologist said. They have Post-Traumatic Stress Syndrome. But August did understand after…oops, almost had to add a spoiler alert. Question: Julia, you used a writing style that made the events leap off the page for me. Your scenes were like reading from a current news story; like an anthology or journal. Would you care to comment on this choice, maybe set the reader’s expectation? I just came to it by happenchance, by fooling around. In some ways, writing a novel is like growing a garden; you water the plants, you weed, you introduce new plants. One thing leads to another. Then before you know it, it’s harvest time. Question: The Captive Boy must have taken an enormous amount of research. Would you like to give us some background on that process? It seems to have been based in large measure on historical events. I read everything I could find about Mackenzie and his troops, about the Red River War, about the frontier cavalry, about the country and its terrain, about Comanches, about white captives, and I’d been doing this for years before I started formal research. I had compiled a 100-page research book before writing one word. Almost everything in the novel, as regarding events, really happened. I changed some things for novelistic purposes, but not much. Do you remember the scene where the Comanches attacked soldiers in the night and the horses panicked and went so wild they pulled the stakes (holding them) from the ground? The stakes then went flying through the air. That made those stakes lethal weapons. That really happened. Of course, the scenes between characters only happened in my head. Except for the scene with Gen. Sherman, when Mac and Sherman found out the Comanches had destroyed a teamster train and killed most of the teamsters. Question: We’ve touched on your main characters. Do you have anything to share about the supporting cast of characters? I loved all of them so much, and I miss them. I loved Eliza who told her friend Jane about everything she saw and heard in Col. McKenna’s quarters, I loved Asha, August’ eventual wife and Asha’s relationship with Mac. I loved it that Mac loved August and he also desired his wife (that’s quite a three-cornered dilemma, isn’t it)? I loved Sgt. Major Pruitt, who told tall stories and loved baseball and loved his baseball team, I loved Sam Brennan, Mac’s adjutant, who was a brilliant anthropologist and naturalist, actually a kind of Leonardo De Vinci. Sam was based on a real soldier, John Bourke, author of “On the Border With Crook,” the all-time best frontier memoir. Question: What would you like to share about the time and place; the landscape where The Captive Boy took place? Tough country. The Southern Great Plains are not flat but rolling and covered with thorny plants so sharp they can cut your arteries open. Very little good water. The canyon country (as you know Richard) drops from level ground. First, you’re riding on level land and then the bottom just drops 1,000 feet. Men went blind from riding in the sun day after day, and died of heat stroke, and dysentery (from drinking contaminated water), and snakebite, and, of course, war wounds. The Comanche often used barbed arrows (which were nearly two feet long) and you couldn’t just pull them out. They had to be cut out. Not good. Wounded men often died from infection, and even lockjaw. Question: This book is somewhat different from your western novels. Would you like to comment on its genre? It’s an historical novel. Historical novels are supposed to educate readers on the time and place, and why things were as they were. I hope I’ve done that. Question: Do you have any additional comments you would like to share, Julia? Yes, you’re a good guy Richard. Thanks for the interview. Thank you again, Julia! I appreciate your answers, your efforts to lift up the heroic soldiers, to humanize the Comanche and your dedication to presenting realistic events through fiction. I have found that it’s often easier to present truth through fiction as opposed to biased and alleged fact. For my review of The Captive Boy, click here. Texas. For fun, I drive across Texas, to the deserted corners, the wide spaces, heading west past Waco, watching the mesas float in the distance. The family saga, Apart From Love by Uvi Poznansky opens on a scene in the family home. The reader finds Ben, son of Lenny, the family patriarch, in a strange, tense situation. It is a tense situation because Ben has just been greeted by Anita, his father’s bride. He finds Anita to be attractive if uneducated. She is a year younger than Ben who is 27. As chapters progress through the saga, each is delivered as a first person account of the events taking place between Ben, Lenny and Anita. Readers of literary fiction with a biographical tone will find Apart from Love compelling. Uvi Poznansky paints vivid portraits of these primary characters and others with whom they interact. We learn early on that Natasha, Ben’s mother separated from Lenny. An element of tragedy is introduced when we learn from Lenny that Natasha has early onset Alzheimer’s disease. Ben had been led to believe his mother had been traveling on a world concert tour. He is shattered to learn Natasha has been in a nursing home. To me, Anita becomes the strongest character in the story. True, she doesn’t have much education and she was abused at home. That said, we learn through her first person narratives that Anita has good common sense, is attractive and has strong character, especially when it comes to protecting her unborn child. It seems she spends much of her time at home, alone while Lenny is ‘away’ writing and following his own self-interests. Maybe that is part of the attraction that begins to draw Ben and Anita together. One of the early hints comes as we see Ben and Anita performing an enthusiastic duet on the piano. By the end of the performance, both characters seem non-plused. Additional tension develops when Ben discovers Lenny has plagiarized recorded memos from a tape recorder. This machine will eventually prove to provide a growing body of information which is revealed at the end of the book. After Lenny and Natasha’s separation, it seems Ben left home for an extended period of time. In the following excerpt you will get a glimpse of Uvi Poznansky’s gift of description and a feel for the lyrical prose she is capable of writing. I highly recommend, Apart From Love. When you read the book, I encourage you to savor each chapter, much like reading an important letter from a friend or family member. As you read each chapter you’ll see a cohesive structure emerge. By the end you’ll find a story where the whole truly is greater than the sum of its parts. Read it and enjoy! 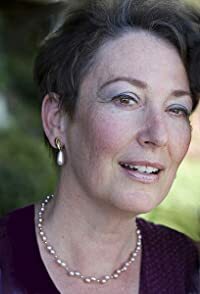 She won great acclaim for her novel, Apart From Love, published February 2012 and for her poetry book, Home (in tribute to her father, the poet and writer Zeev Kachel) published September 2012. Welcome to My Place. 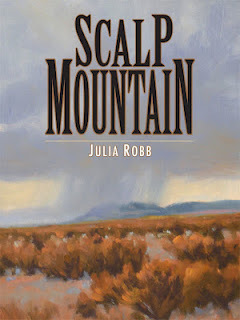 I’m eager to hear what you have to say about your writing in general and about your novel, Scalp Mountain. Would you like to share a synopsis of your novel? It’s 1876 and Colum McNeal’s immigrant Irish father has sent gunmen to kill him. Colum finds a refuge in a hidden Texas valley and begins ranching, but struggles to stay there: José Ortero, a Jacarilla Apache, seeks revenge for the son Colum unwittingly killed. At the same time, an old acquaintance, Mason Lohman, obsessively stalks Colum through the border country. Colum has inspired the unthinkable in Lohman. In a time and place where a man’s sexuality must stand unchallenged, Colum has ignited Lohman’s desire. Other characters include Texas Ranger William Henry, who takes Colum’s part against his father while wrestling with his own demons. Comanches murdered Henry’s family and Henry regrets the revenge he took; and Clementine Weaver, who defies frontier prejudice by adopting an Indian baby. Clementine must also choose between Colum and her husband. One thing I noticed about Scalp Mountain was the depth of your character development. Tell us how you chose your main character and describe how you like to present your characters to the readers. My novels all start the same way; I see images in my mind, but I don’t understand them. 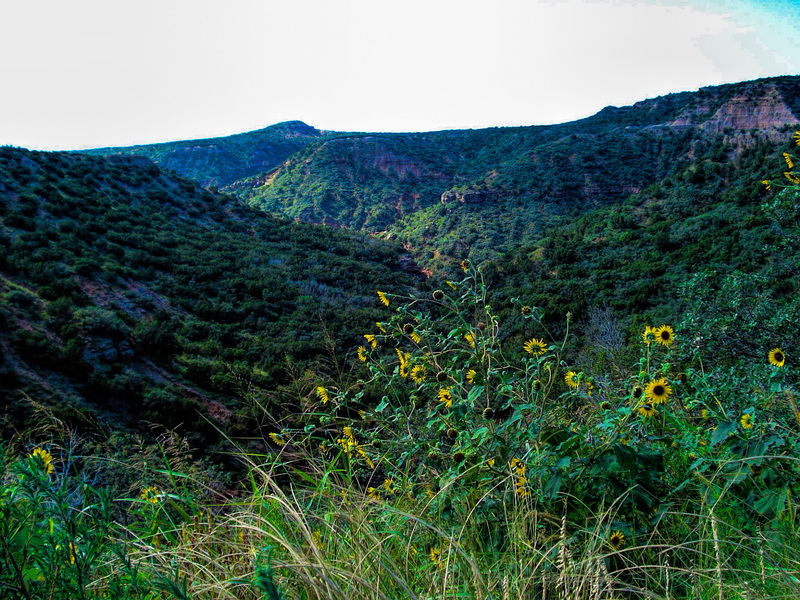 I saw Colum standing on a hill in the Davis Mountains, in Texas. When I asked myself what this man was doing, the answers came. Writers see characters through the prism of their own personalities. If my characters have depth, it’s because I want to understand them and I want readers to understand them. Nobody is simple. Personally, I want to understand everybody and spend large amounts of time trying to figure out other people and worrying about them (I know, it’s useless to worry). Colum’s mother was murdered and his father rejected him. That kind of trauma usually twists people; it creates drives and motives they don’t necessarily understand. Humans must attempt full consciousness to understand themselves (I know, that’s a tall order). Luckily for Colum, when events unfold, he’s willing to face his actions and try to redeem himself. You can attribute that to inner strength, but I think God is willing to give us grace to deal with life, if we’re willing to accept it. Scalp Mountain is clearly historical fiction. While this is true, I found much in common with literary fiction. What do you think makes your novel stand out from other historical fiction? I don’t know, I don’t even know if it does stand out. I just wrote the story in my mind and heart, and wrote my style, whatever that is. I’ve studied literary technique, but that technique is mandatory for all writers, not just historical novelists, or literary novelists. It doesn’t. The events in the book all stem from character. Character is destiny. Colum’s father is a vengeful man. Rather than fight it out, Colum runs from his own guilt, motives and feelings. Lohman can’t handle his unrequited desire for Colum and tries to eliminate the problem the only way he knows how; killing him. Have you considered working on a sequel? No sequels. I’m working on another historical novel now and that has my attention. Besides, Scalp Mountain doesn’t lend itself to sequels. It’s pretty intense and I could never reproduce the same kind of tension in a sequel. Tell me something about your writing habits. Is there a special place where you live that you like to go to? Do you like to write at a certain time of day? This is a problem all writers deal with (unless they have superior self discipline, which I don’t). Between working on publicity, which is an endless job, doing my chores, seeing and talking to friends and family, and making myself stay in the chair, it’s hard. Like all writers, some days I just sit and stare at the computer screen and want to bang my head against the wall. Luckily, the wall is handy, it’s right by my desk. In an added note, I strongly suspect writers who brag they have unbreakable work habits are exaggerating. Please provide links to your blog, your book and other places where readers can find your work. Thank you, Julia for stopping by. Do you have anything else you would like to add related to your book or writing that I failed to mention? After years of suffering through the Great Depression and sweeping devastation caused by ‘Black Blizzards’ during the Dust Bowl era, farmers and share-croppers of the southern plains began an odyssey toward hope and the green valleys of California. This was a time of sweeping social and economic change. This was a time when banks, powerful land owners, mechanized farming, prejudice and bigotry sent people packing. While working as a journalist in San Francisco, John Steinbeck wrote a series of feature articles about these migrant workers. He developed a powerful respect for their initiative and empathized with their plight. Those articles were the stimulus that drove him to write Grapes of Wrath. A short time after its publication, Grapes of Wrath received the 1939 Book of the Year Award from the American Booksellers Association. In 1940 it won a Pulitzer Prize for Literature. 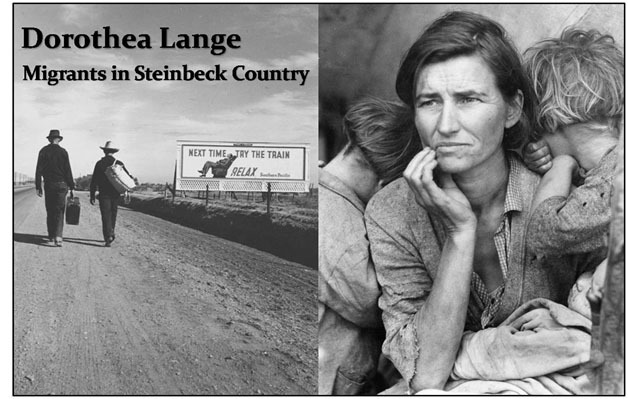 Steinbeck used powerful, lyrical prose while establishing many of the scenes his characters lived in and passed through. He had a gift of writing in the vernacular language of the people of Oklahoma, and the surrounding states. Most chapters were anchored in dialog between the Joad family members and those with whom they had contact. Most of the story centers on protagonist Tom Joad, second son and parolee from an Oklahoma state prison. Ma Joad, the matriarch of the family is the glue that holds the family together. The first half of the book follows the family along Route 66 from eastern Oklahoma across the state into the Texas Panhandle, New Mexico, Arizona and deserts until they are awed by the beauty of California. Along the way, they experience devastating losses, disappointment, and innumerable hardships. The Joad family meets and bonds with fellow travelers, and experience the generosity of a restaurant cook and waitress. After arriving in California, the family learns harsh realities of life as Okie migrants while camping in one of the infamous Hooverville camps or shanty towns. 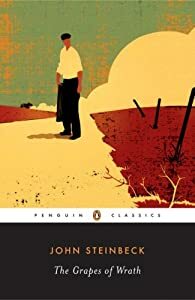 Steinbeck gives the reader glimpses of the causes and social issues as seen through the eyes of his characters, but he doesn’t stop there. At times he breaks up the journey and branches into short narratives that read like prose poems. In these narratives he frequently uses repetition to drive home his message. He hammers on banks. He has little patience for land owners who call the migrants squatters even though many of these people acquired the land earlier though questionable means. He shows us sheriffs, vigilantes and private security officers working as pawns of the powerful. These are the implements of injustice and the source of escalating tensions. They will stop at nothing to quash dissent. Migrants are exploited through the devaluation of their work by these land owners. Grapes of Wrath lives up to its accolades. Be prepared for an emotional ride. Use it as an opportunity to assess your prejudices and preconceived ideas about this trying time in our history. If you haven’t read Grapes of Wrath, you need to do so. John Steinbeck wasn’t alone in his call for better treatment of migrants. Dorothea Lange featured this population in brilliant photo essays. I’m including a link to some of her iconic images. Quote from, Steinbeck, John; DeMott, Robert (2006-03-28). The Grapes of Wrath . Penguin Group. Kindle Edition.. I approached Shelli Johnson when I prepared my review of SMALL AS A MUSTARD SEED, and asked her to consider guest hosting. We discussed topics and it seemed only fitting that she share her reasons for writing her novel. I am confident you will touched by her story and opinions. If you haven’t purchased a copy of the book, maybe this will move you to do so. The rest is Shelli’s post! I am somewhat obsessed with war. My grandfather fought for the Germans on the Russian front during World War II. My grandmother, in the middle of 1940s Germany, held their little family together by herself for more than six years. My dad had the formative years of his childhood in a war-torn environment and was still a kid when the country fell, when the Russians overtook the region where he lived. I grew up in the United States and saw through them what Hitler and the war had done to generations, not only to the men who fought but also to their families: their wives and siblings and children, how it changed all the relationships there, fractured them, sometimes beyond repair. In the novel, Frank, the father, joined the army as a means to an end; he’d wanted money to go to college and to finally move away from the small town of Stanhope, Ohio. When the war in Korea erupts, he’s sent off to fight in subzero temperatures, without adequate equipment, and not realizing an event will occur there that triggers devastating post-traumatic stress, which will follow him home. He confuses reality with soul-searing memories, believing he’s still a soldier fighting for his life in battle-torn Korea, and that confusion leads to his daughters fearing for their lives. I also often wondered how war changed who they could’ve been, not only my grandparents but my father, too ~ how different his life could’ve been, what choices he might’ve made or not made, what things he might’ve said or done. How might he have behaved differently if he hadn’t grown up being taught about Nazism and the Master Race? Who might he have been if he hadn’t lived through the bombing of his city or the aftermath of the Russian takeover? Looking back, I’m sure that he would’ve been a different person. But then anyone would because you can never unsee what you’ve seen, you can’t ever undo what you’ve experienced, your dead loved ones can’t live again. Adele, the mother who had sported Frank’s ring and given him her virginity before he shipped off, who’d also had dreams of her own, wasn’t prepared at all when he came home severely wounded, a faint shadow of the man she remembered. Hobbled by her own memories and wants, Adele scrambles to keep order while Frank’s threatening and unpredictable outbursts slowly tear the family apart. Small as a Mustard Seed came out of my exploring how war affects generations. It’s told from the point of view of a child because kids pick up on a lot, they understand a lot, even if adults think they don’t. War changes who they are, too, and maybe they only experience it indirectly ~ they aren’t on the battlefield ~ but they still experience it, the tortured aftermath of wounded soldiers and overwhelmed mothers and blindsided family friends. They may not even understand everything, but they get enough for it to change who they might’ve become, too. Jolene, the younger sister, is headstrong & stubborn but loyal to her sister to a fault. She wants their lives to be normal, to be like everyone else’s, just school and boyfriends and sleepovers. But her father, without warning, mistakes her for a Communist, for an enemy solider or a Korean villager, and leaves her clambering to protect not only herself but her older sister as well. There’s also the idea of how you can both hate someone, hate their behavior and what they’re doing to you, and love them at the same time because they’re your blood. How do you cope with that because it’s such a conflicting emotional situation? Maybe some people would just leave, never look back, but no matter how far you run, the ties are still there, the mental scars of years and years of violent events don’t vanish with distance, no matter how much you might wish they would. And maybe some people would stay, would internalize and blame themselves, and that destroys a soul, too. And finally, Ann Marie, through whose eyes the entire story is told, is just trying to navigate her way through her childhood and keep herself ~ both physically and mentally ~ intact. She loves her parents fiercely and, at the same time, is helpless as a child to do anything about what’s happening around her. She loves her sister with that same intensity and is helpless, too, to make their situation any better. Finally, there’s the idea of family and no matter how dysfunctional it may be, it’s still the thing that shapes your life and who you are. It’s about love, too, even when that doesn’t look the same for everyone, even when people do things that are misguided and wrong but the intention behind their actions is love. And too, it’s about trying to fix a mistake long after the fact even when it feels like there’s no resolution to it. It’s about the trying because you’re a family and family matters, it’s about the effort to make it right whether or not it works out. Shelli Johnson worked as a sports journalist and an editor for many years before finally following her passion and pursuing her MFA in Creative Writing. Publishers Weekly called her award-winning novel, Small as a Mustard Seed, “an intense & heartbreaking story of the fallout of war.” It’s available now as an ebook. Now Cassie has to choose. Does she let her downward spiral continue all the way to the bottom, or can she find something – anything – to fight for and make her future worth living? 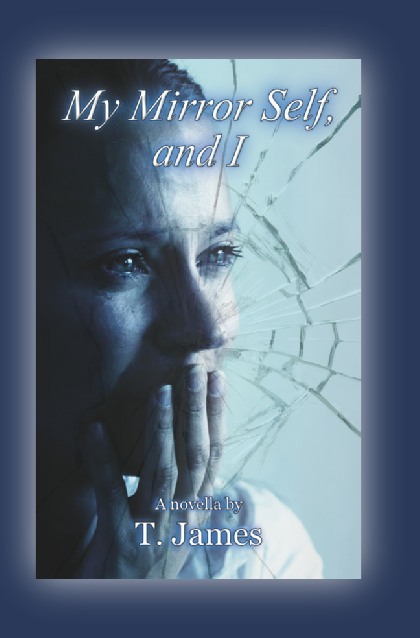 The novella My Mirror Self, and I is about finding the courage to carry on in the face of adversity. An intimate exploration of a young woman’s struggle with breast cancer and depression, it has been described as “powerful”, “compelling”, and “uncompromising” by readers. This novella touches on themes explored in books like Sylvia Plath’s The Bell Jar, but it is written in a style more akin to Alan Bennett‘s Talking Heads, with elements of Victoria Hislop’s The Island. I’m a fan of literary fiction because it usually represents a mirror of life with all that is good and not so good. In this intense novella, the author T. James delivers a vivid,and compelling story. It opens much like a love story full of life and vigor. A young couple falls in love, marry and start a life together, then all Hell breaks loose. 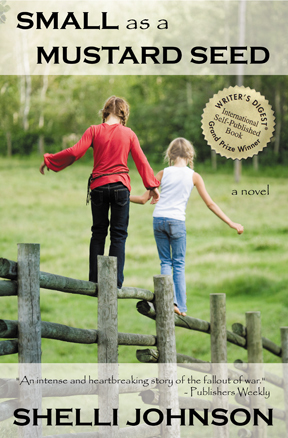 The story is told through the eyes of a young woman named Cassie. T. James does an amazing job of transporting the reader into Cassie’s life. His writing can be lyrical as seen in an engaging prologue, but he has the ability to deliver gut wrenching realism dealing with terrifying consequences. Most of the story involves a powerful inner dialog as Cassie wrestles with the discovery that she has breast cancer and concerns about her marriage. When there is dialogue, you’ll find powerful exchanges given in a candid and frank manner. Be prepared for a gripping and engaging story with strong emotion. You’ll find yourself cheering for this young woman even as her life appears to be cascading out of control. It is not a story for the faint of heart but if you enjoy psychological drama, T. James delivers! As a child in 1960′s rural Ohio, Ann Marie Adler finds herself caught between her father, Frank, a veteran who survived the war in Korea but with devastating post-traumatic stress, and her mother, Adele, who is blindsided by the mental illness that accompanied him home. In a series of escalating dangerous episodes, Frank confuses reality with soul-searing memories, believing he’s still a soldier fighting for his life in battle-torn Korea. During the delusions, Ann Marie and her younger sister, Jolene, become the enemy, which leaves them fearing for their lives. Unable to fully protect her daughters, Adele scrambles to keep order while her husband’s threatening and unpredictable outbursts slowly tear the family apart. I’m a Vietnam War veteran. That is what attracted me to Shelli Johnson’s book initially. Having subscribed to Shelli’s blog, I was already familiar with her writing and enjoyed the information she provided. Small as a Mustard Seed focuses on the effects of post traumatic stress disorder (PTSD) by a Korean War veteran. This is an unfortunate side effect of war. The book takes you on a journey as seen through the eyes of Ann Marie Adler, a daughter of Frank whose life has been shattered by PTSD. The book occurs during the period from November, 1965 to June 1999. Its genre is literary fiction. It is a heart-wrenching, emotional journey but it conveys a message that resonates at multiple levels. At first I picked up on the PTSD. This disorder has been called combat fatigue, or combat stress syndrome before PTSD became the accepted term; but it’s really about much more than that. Much of the story contains universal nuggets that most all of us can identify with. As we watch the story unfold, the author gives us near cinematic word pictures of the world around Ann Marie. Character development is at the heart of this story and Shelli Johnson’s characters come alive before us. I remain convinced this story will resonate at different levels and for different reasons with people from diverse backgrounds. It is very much a book about reflections and universal experiences even though it focuses on the theme of PTSD. Parts of the book will sadden you, yet as you read about sad, difficult circumstances you will find seeds of hope. That hope will continue throughout the book and is what makes it so inspirational. In the past much of my reading has been in the suspense-thriller genre. I finished by thinking, this is what classic literature is all about. Small as a Mustard Seed is a book that will hold its own alongside great literature. It is a story I will savor for a long time to come. Small as a Mustard Seed is one of the most compelling and well crafted books I’ve read in a very long time. I’ve found a new favorite author and Shelli Johnson is that author. Johnson, Shelli (2011-05-28). Small as a Mustard Seed (Kindle Locations 1368-1379). TEN TWENTY-SEVEN BOOKS. Kindle Edition.